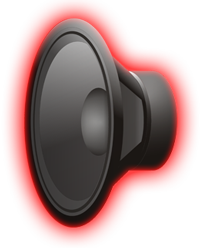 When installation is finished start the Fusion Auto Speaker app. If you get interface like on the "Image 1" - your phone is not equipped with proximity sensor (or application cannot use it) and you should immediately go back to the Market Place and use 15 minutes purchase refund option. 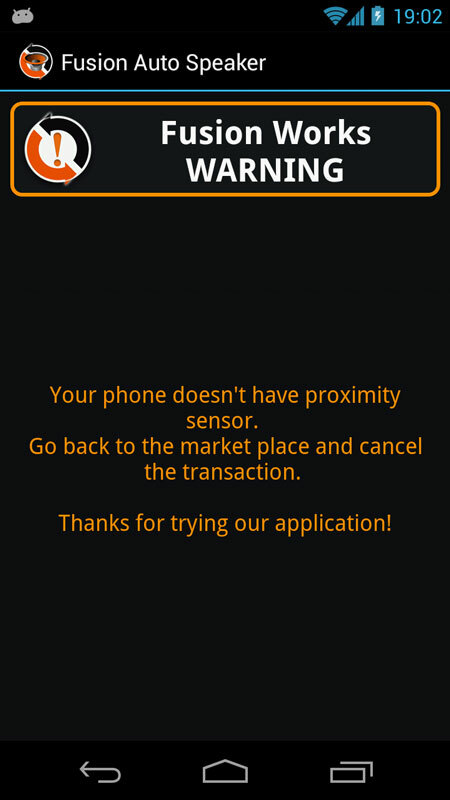 If you want to keep application and are sure your phone is equipped with proximity sensor - send us a message, please, on info@fusionworks.eu stating your phone manufacturer and model. We're going to try to resolve the problem. Normally if your phone is equipped with proximity sensor (and application is able to use it) you will get the interface like on "Image 2". Upper part of the interface is used for configuration as starting the service. Lower part is the test to prove your sensors are working properly. Configuration application is used only to set desired behavior of the service after configuration is finished you can safely close it. 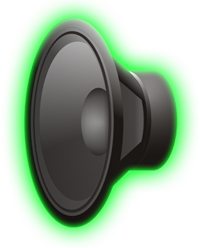 Enable Auto speaker - If checked after pressing "Update settings" will start the background service. 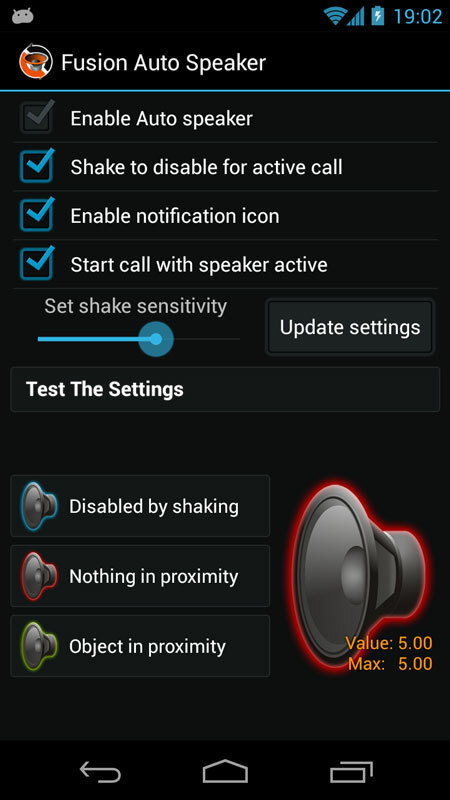 Shake to disable for active call - If checked gives possibility to by shaking the phone disable auto switching between headset and speaker. It's active only for the active call, expires after call is disconnected. Shake sensitivity can be fine tuned using "Set shake sensitivity"
Disable notification icon - If checked notification icon is not permanent, it can be removed by tapping on clear button in notification window. Start call with speaker active - Default state is that call starts on headset. Enable this setting if you want each new call (outgoing and incoming) to start with speaker active and that swiching starts when you move it against your ear. Blue - Proximity sensor is disabled by shaking the phone.